With Britain’s number one New Year’s resolution being weight loss, it is no surprise that people are increasingly concerned over issues of health and weight. Fat loss isn’t a complicated process and it is something that can be implemented by making a few changes in lifestyle. Burning body fat is made possible by raising the metabolism and thus forcing one’s body to use up extra calories. A healthy diet and regular exercise are two things that contribute greatly to raising the metabolism. Another way to raise the metabolism is via the consumption of green tea. A green tea fat burner can help boost the intensity of your exercise regime and significantly enhance your weight loss routine. How Does Chaoji Tea Burn Fat? 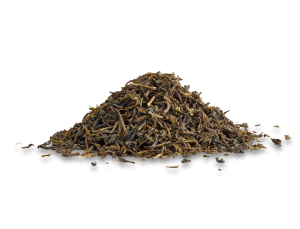 Chaoji tea contains powerful polyphenols called catechins, an anti-oxidant that is known to boost the metabolism and reduce stored fat – making Chaoji a valuable green tea fat burner. In a Taiwanese study of over a thousand adults over the course of ten years, it was revealed that those who drank tea containing catechins at least once a week had 20% less body fat than those who rarely consumed the substance. Anti-oxidants play an important role in helping the body fight ailments and sickness. Not only do they help play an important role in preventing cellular damage, they also contribute to slowing the aging process. Is Catechin-rich : Studies have shown that those who consume catechin-rich drinks for a period of months are likely to end up slimmer in body weight. Contains polyphenols : These polyphenols activate our bodies’ thermogenic activity thus burning increased fat. Metabolism is increased significantly. Suppresses appetite : Giving you the impression of being full ensures you are likely to reduce calories and stop over-eating. Helps you exercise longer : Although the tea burns calories, it also gives you an energy boost which provides you with increased endurance thus allowing you to exercise longer and burn even more calories. Causes Carbohydrates to be released slowly : This prevents a rise in blood-insulin levels and encourages the body to burn fat.